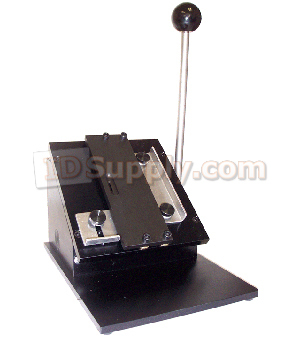 1500LA Heavy Duty Slot Punch features a Heavy-Duty Adjustable depth guide and an adjustable bottom guide. This slot punch will punch materials up to .070 thick. It has a gear drive action in both directions and a Hardened steel Punch & Die. All metal construction. Slot Size is 1/8" x 9/16" Color. Lifetime warranty.